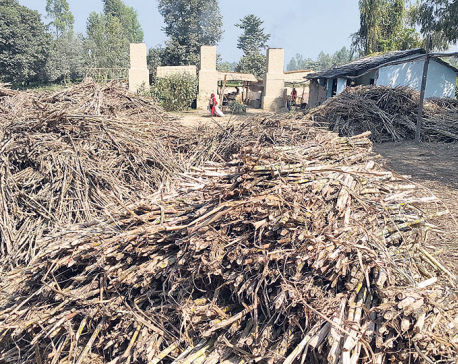 BUTWAL, Jan 27: Sugar mills in Nawalparasi district are yet to start crushing sugarcane, risking drying up of sugarcane on the field. On January 5, the government had set the price of sugarcane at Rs 536 per quintal in consultation with sugar mills and farmer associations. Of the total price, Rs 65.50 will be provided by the government as subsidy while Rs 471 is to be paid by the mills. 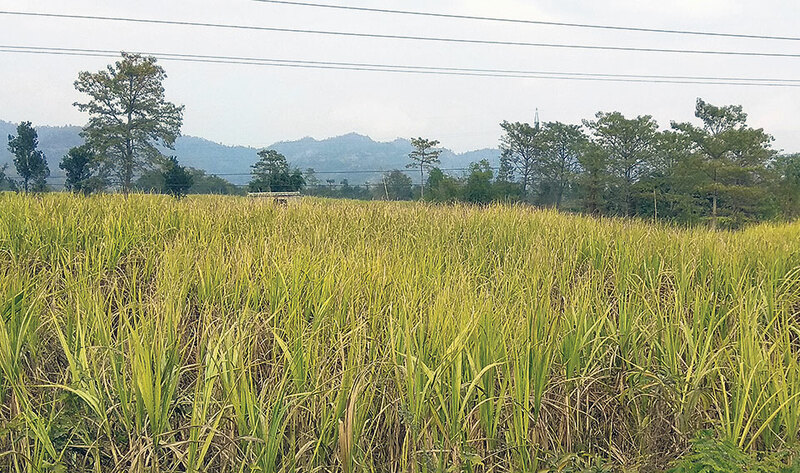 “After the government fixed sugarcane price, I started harvesting my crop planted on 15 kattha land hoping that the mill would start crushing it,” said Bachharaj Bhar from Pratappur, Nawalparasi. 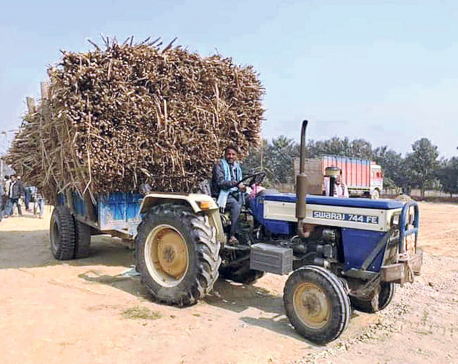 “However, the sugar mills that are closed till date have left us worried as the harvested sugarcane will soon dry up.”There are three sugar mills in the district: Lumbini Sugar mill at Sunwal Municipality, Bagmati Sugar mill at Susta Rural Municipality, and Indira Sugar Mill at Pratappur. Sugar mills in other districts have already started crushing sugarcane. According to Sugarcane Producer Farmers’ Association, around 7000 hectares of land in the district is covered with the crop. Dudhnath Gupta, district chairman of the committee, said that around 2 million quintals of sugarcane is produced in the district every year. Around 10,000 farmers of the district are dependent on the crop. Due to the mills’ delay in resuming operation, more than 1000 households in the district are affected, according to the association. “Sugarcane has started drying up in the field while we are waiting for the mills to begin crushing. This has left us quite worried,” said Sudama Koirala, farmer from Pratappur. Meanwhile, the mills have been claiming that they will face losses if they provide the sugarcane price set by the government to farmers. On the other hand, farmers have accused the mills of delaying to begin crushing sugarcane in collusion with the government. 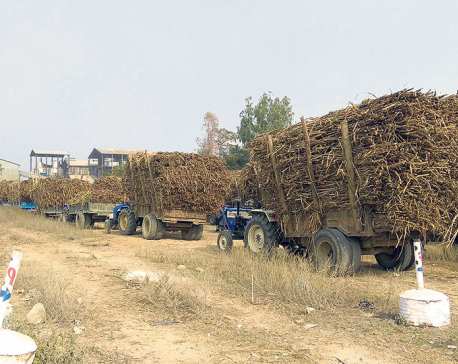 “The mills might have been assuming that farmers will sell sugarcane at lower price rather than letting it dry on the field,” said Dhiraj Tripathi, spokesperson of the association. Farmers had been urging the government to set sugarcane price since September last year. Farmers are now thinking of starting protests if the government did not intervene and direct the mills to start operation. RAUTHAT, Jan 20: Several sugar mills across the country have resumed operation, few days after the government fixed sugarcane price.